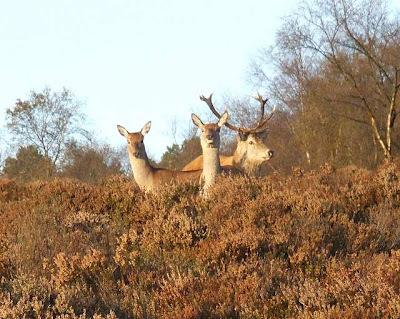 Viewers of BBC2's Autumnwatch programmes may have seen deer such as Sika deer or Fallow Deer involved in the annual rut. Both of these are introduced species and, attractive as they may be, do not, to me, look quite as at home in the British countryside as our own native deer. 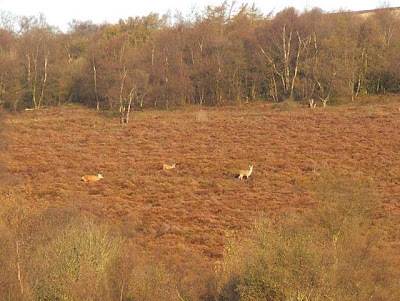 The roe deer is our smallest native deer and can sometimes be seen in and around the Peak District. 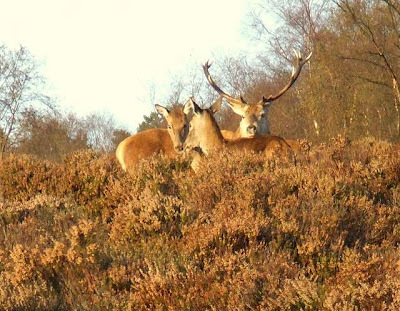 On Blacka we are doubly lucky because not only do we have red deer, the largest British mammal, but they are living in a landscape that could have been designed for them (or even by them). In fact the way nature has gone its own way over the best part of a century has meant that these animals are able to live perfectly balanced lives, coming out into the open when they wish but retiring into the tree cover at times when they need to feel more secure. This morning they had chosen a sunny section of the moor with good shelter from the cold winds. The stag and two hinds could have been posing for group pictures. My simple phrase to describe these deer is 'right for the landscape'. Richard Jefferies uses the splendid word autochthon from the Greek, roughly translated as 'springing from the soil'. 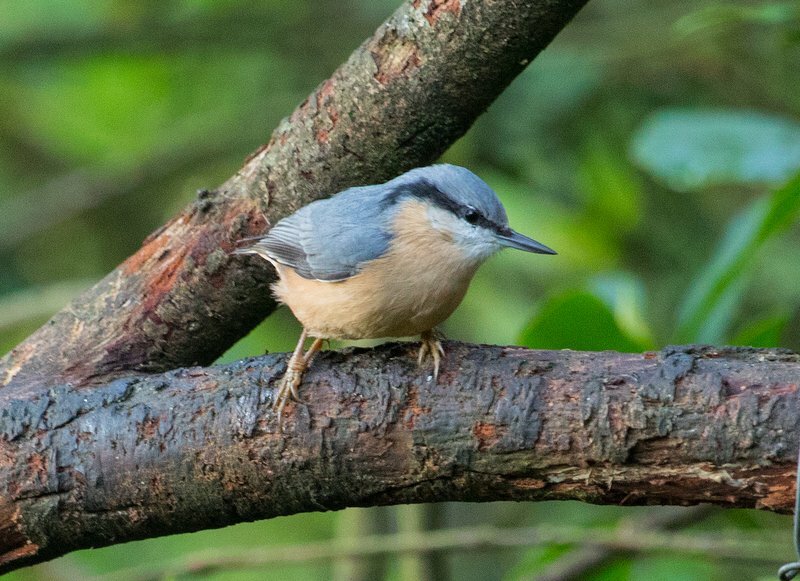 Managing The Peak District - Who Decides? Will They Get It - One Day ? 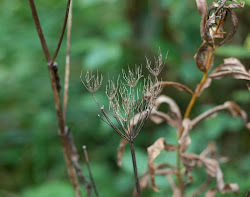 Cameras: a post without a picture. Is There No Limit ?